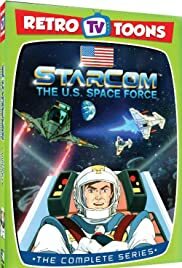 Cadet Jonathan Moskowitz is chosen to take a trip from Luna to Mars with the Starcom Battle Commanders but the boy is just a decoy to distract enemies from the top secret cargo they're carrying. Jonathan 'Flash' Moskowitz: ...Mars, the Red Planet! Like the God of War for whom it is named, it is a place of intense danger! Col. James 'Dash' Derringer: Knock it off, will you, Flash?